Let’s be honest, rainy days in Iceland are not uncommon, but we’re not going to let a little rain ruin our vacation, right? Hello Team Iceland. 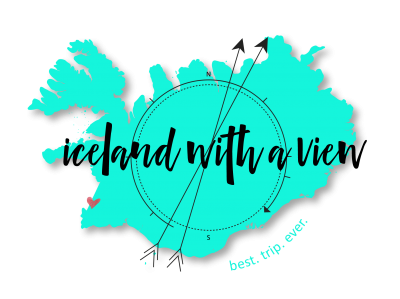 I’m Jeannie and my mission here is to help you plan the best trip ever to Iceland, and I do that by hanging out here with you every Monday. So we can talk all about Iceland planning. Today I want to talk to you about some options for Rainy Days in Reykjavik because we all know that they’re going to come, and maybe you don’t want to hang out outside all day in the rain. First off might I suggest heading into one of the adorable cafes in Reykjavik. What better way to pass the rainy day than to sit inside with a hot beverage looking out at the most adorable city on Earth. You’ve got a lot to choose from here. The most popular one is Reykjavik Roasters but two of my favorite places are Stofan and Café Babalu. Next, you could head into the Harpa Concert Hall. So the Harpa is the beautiful glass building that’s on the harbor in downtown Reykjavik, and basically you can go in and just wander around Harpa because it’s beautiful, or you could catch one of the various plays, orchestras, or any of the events that are going on inside. Of course, there are plenty of museums in the city to head into. This would be a great way to pass the time while it’s raining, but also learn some amazing things about Icelandic culture. My favorites are the National Museum and Aurora Reykjavik because if it’s rainin’ you can’t see the Northern Lights, and if you want to see the Northern Lights all you have to do is go into the Aurora Museum. Problem solved. Obviously, shopping is one of the first things that most people think about to do. Tons of shopping in Reykjavik, tons. Tourist shops, souvenir shops, all of the shops. Laugavegur is the main shopping street, so you’re going to want to head there. You can just kind of window shop or inside shop. Get inside from the rain. Another great option is the Kringlan shopping mall, which is really not far from downtown Reykjavik, and that’s where a lot of the locals hang out. So if you want a true Icelandic experience head to Kringlan. So you might not think of this one, but I suggest heading to one of the local swimming pools. Not only is this a great way to warm up because you’re soaking in the natural geothermal water, which is amazing, but also a lot of locals are hanging out at the pools, any time of day or weather. But this is just such an amazing way to pass the time, and really get the local culture. Next up you do not have to go far to find a tour in Reykjavik. So some of my favorite tours include a craft beer tour…um yeah – a great thing to do on a rainy day! or a food tasting tour. Both amazing things to do, to pass the rainy time, and hang out and try some of the amazing local delicacies. Last but not least, don’t forget about the movie theater. I have a funny story about the movie theaters in Iceland. The first time we went to a movie in Iceland they stopped the movie halfway, turned on all the lights, and everyone immediately got out of their seat. I was like, “Did the movie break? What’s going on?” No, this is called “intermission”, which is the weirdest thing that I’ve ever experienced, but it’s something that you could experience too if it’s raining in Reykjavik. So Bio Paradis is right in downtown Reykjavik or you can also head to Kringlan, which also has a movie theater as well. All right friends, those are my ideas for hangin’ out if it’s raining in Reykjavik…which it’s probably goin’ to be…one of your days. Make sure to like this video and subscribe if you found it helpful, and I will see you next week, here, same time same place, for another Iceland planning video! 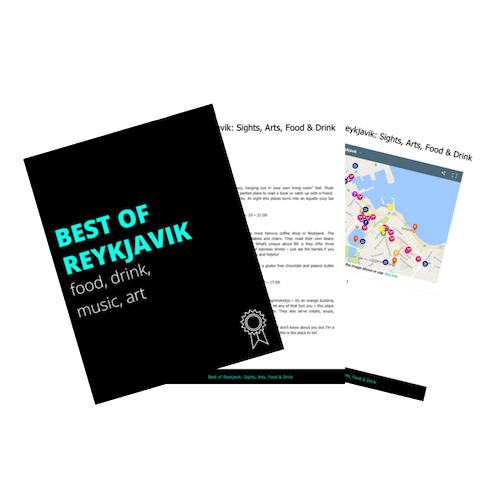 Download the best Sights, Arts, Food & Drink in Reykjavik + MAP! !